“Today’s $2.1 billion dollar announcement is far-reaching and historic. Ontarians with mental health and addiction challenges have been waiting a long time for this much-needed investment. We believe this investment will go a long way towards expanding access to services and addressing critical gaps in the system. What makes today’s announcement historic is not only the significant sum of the investment, but it’s also how comprehensive the approach is. 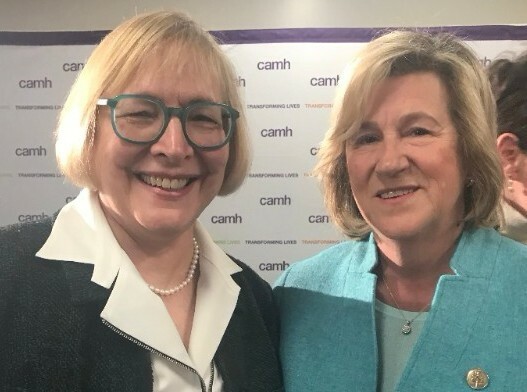 Gail with Health Minister Helena Jaczek at the announcement at CAMH March 21, 2018. 6th Annual Conference and CoP registrations now open! Registrations are now open for Where Change Happens, the 6th Annual Addictions and Mental Health Conference, May 27-29, 2018. We're excited to announce a downtown location at the Hilton Toronto, 145 Richmond Street West. Join leaders from across Ontario for three days of learning, growing and networking. Register today! The learning continues at the Community of Practice meetings taking place the day after on May 30. Sponsorship opportunities are available! Position your organization to over 400 leaders in the sector. Full sponsorship packages available here or contact Jenny, jenny.santokhi@addictionsandmentalhealthontario.ca for more information. 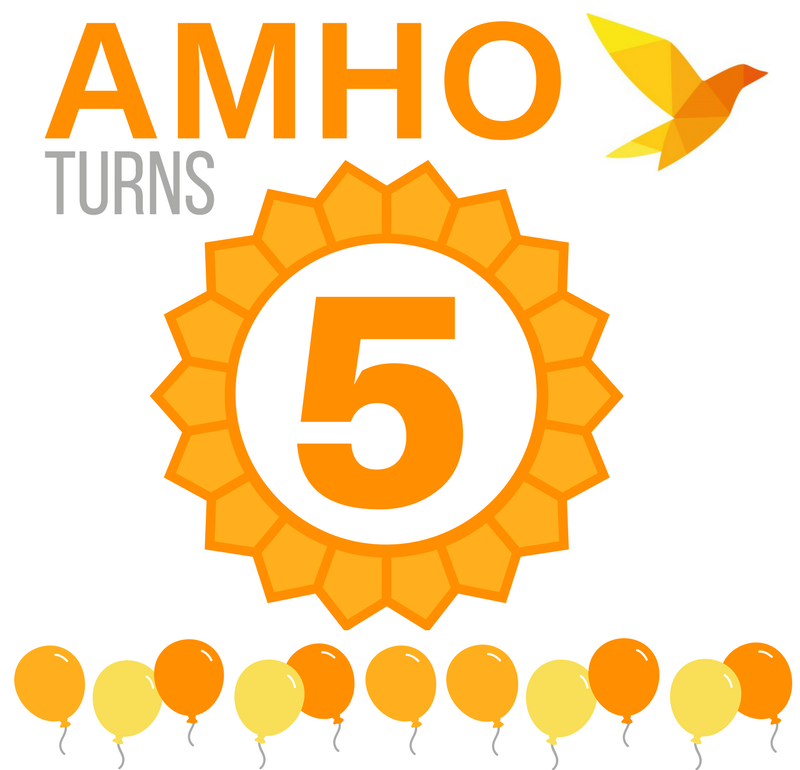 It was five years ago today that AMHO came to be. The result of a merger between Addictions Ontario (AO) and the Ontario Federation of Community Mental Health and Addiction Programs (OFCMHAP), AMHO became the province’s unified voice for community addiction and mental health. Although relatively young at 5 years, today AMHO also celebrates over 75 years of shared history from our two predecessor organizations. 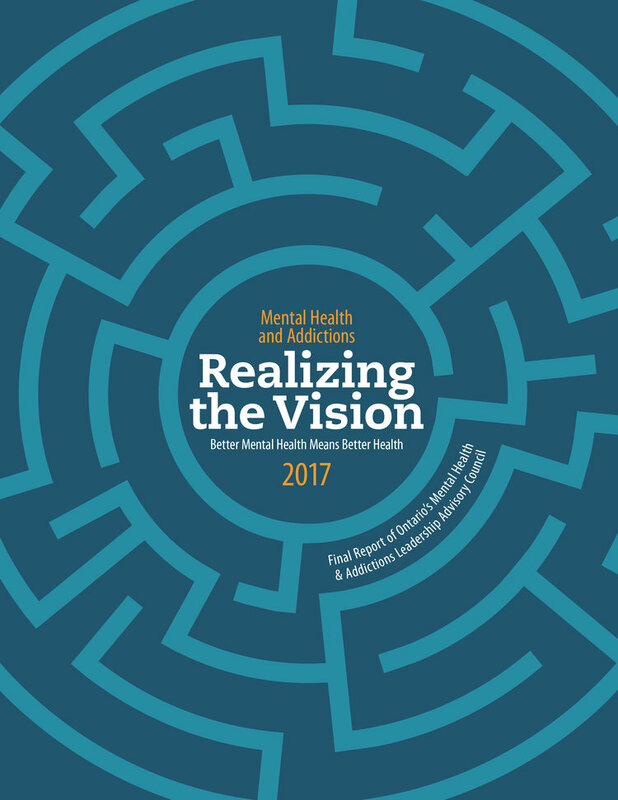 On March 21, 2018 the Final Report of Ontario’s Mental Health & Addictions Leadership Advisory Council (the Council) was released. This report from the Council outlined five overarching recommendations, including critical conditions for success, and future considerations for the path forward for the Ministry of Health and Long-Term Care. Client and Family Engagement in Quality Improvement Webinar: experiences from the community mental health and addiction sector. April 3, 2018 from 12:00 - 1:15 pm. Register here. Experience Based Co-Design (EBD) Webinar: Capture, Understand and Improve Your Client's Experience. April 4, 2018 from 12:00 - 1:15 pm. Register here. Governance and Leadership for QI (Toronto, in person training). April 26, 2018 from 9:00 am - 4:00 pm (Oakham House, Ryerson University, Toronto). Register here. This enriching online learning series will feature foundational, customized content on the systems and policies that impact health leaders on a daily basis. The first webinar Understanding the Ecosystem: Overview of the Ontario Healthcare System will educate healthcare leaders on the foundations of Canada’s healthcare system and policy landscape, with a particular focus on Ontario. Taking place on April 19 between 12:30-2pm, register by clicking here. Health Quality Ontario has posted an assessment and draft recommendations for Cognitive Behavioural Therapy for Psychosis. "Health Quality Ontario, under the guidance of the Ontario Health Technology Advisory Committee, recommends that evidence-based structured cognitive behavioural therapy for psychosis provided by nonphysicians be publicly funded for patients with a primary diagnosis of schizophrenia (including related disorders such as schizoaffective disorder)." Read the full draft assessment and recommendation reports and provide your feedback here. 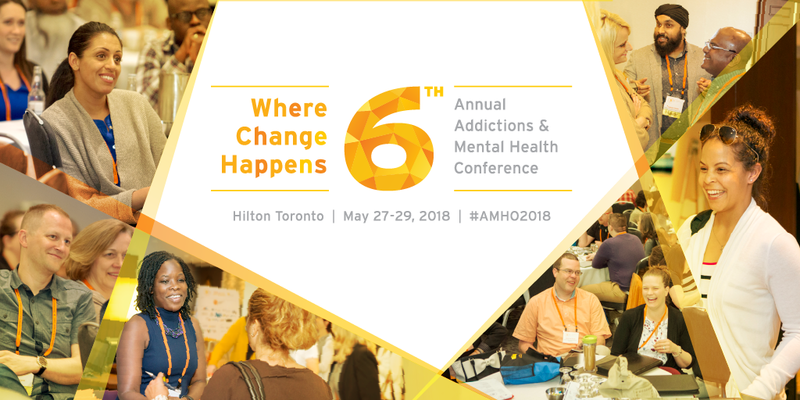 Register for Where Change Happens, AMHO's 6th Annual Mental Health and Addictions Conference, May 27-29, 2018 at the Toronto Hilton. Health System Leaders Webinars Series first webinar April taking place on April 19, 2018. Register here. Provide feedback on the HQO draft recommendations on CBT for Psychosis by April 13, 2018. Attend a consultation on a 10-year strategy for TTC accessibility and wheel-trans, various dates across the city throughout the month of April. Evidence Based Treatment for Mood Disorders workshop, April 26 from 6:30 - 9:30 pm (The Royal, Ottawa). Register here. 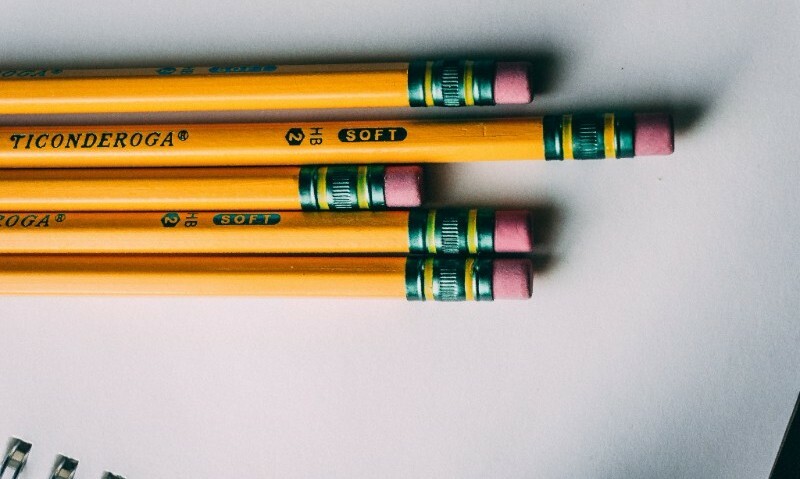 Anxiety Disorders and Obsessive-Compulsive Disorder Quality Standards virtual town hall, April 30 from 12:00 – 1:00 p.m. Register here. Have news, job postings, or events you'd like AMHO to share in our next newsletter? Click here to send them our way. Copyright © 2018 Addictions and Mental Health Ontario, All rights reserved.